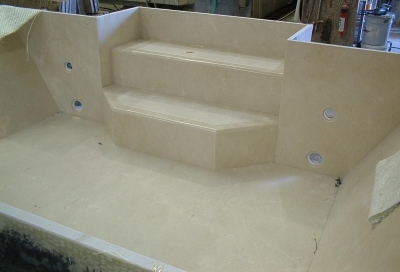 Below are just two of the many custom projects that we have produced. 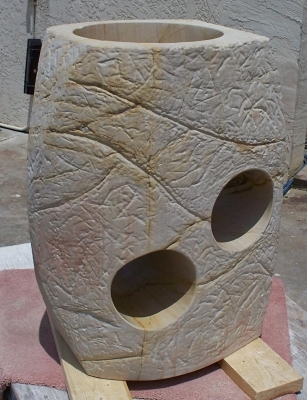 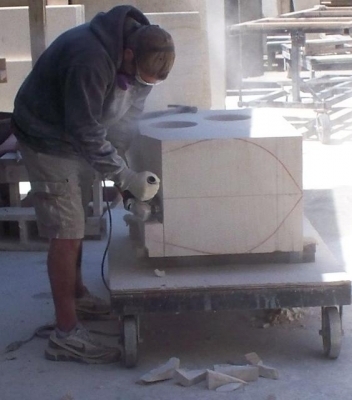 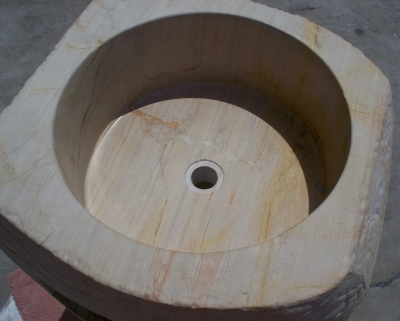 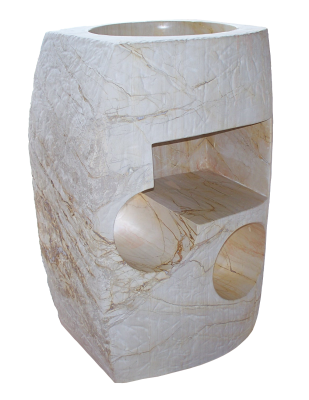 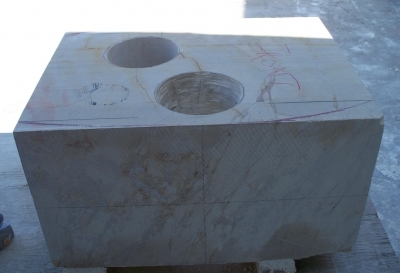 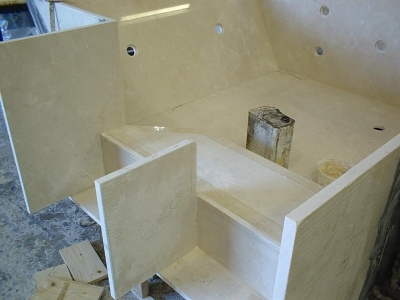 A vanity carved out of solid jeresalem limestone. 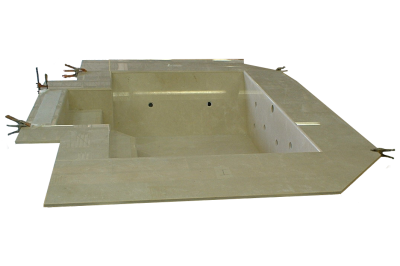 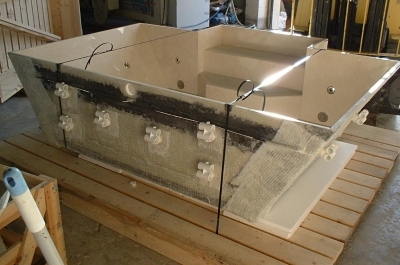 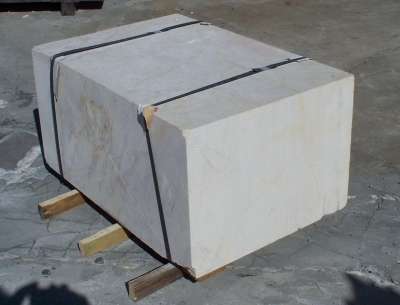 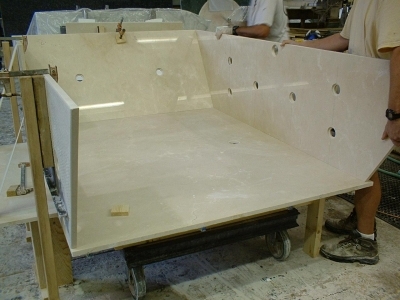 A custom spa made from crema marfil marble.